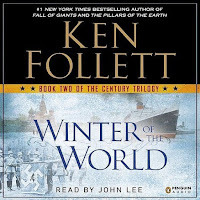 I really love reading, learning and studying, and for the last two months I have been reading the Winter of the World by Ken Follett, which is the second book of the century trilogy after Fall of Giants. 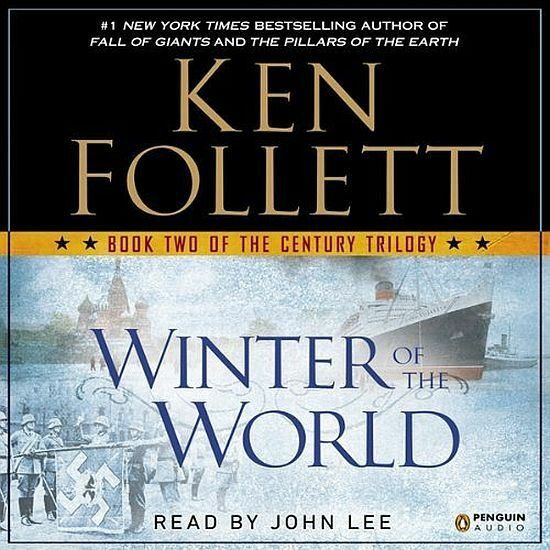 This book is a novel about the Second World War where we can learn about that war in a easy and entertainment way. It's funny, and sad at the same time, how some people think this war was too many years ago while it was nearly 70 years ago when our grandparents lived then. The second world war began 20 years after the first world war, when Germany invaded Poland in 1939, subsequently France and the United Kingdom declared the war to the Nazi Germany. There was two military alliances, the Allies and the Axis, led by Roosevelt, Stalin, Churchill, Hitler, Mussolini, etc. It's amazing how some leaders could decide a war where more than 60 millions people died. It was 6 years of war where was many battles around the world. For instance the attack on Pearl Harbor in 1941 when Japanese attacked against the United States naval base at Pearl Harbor in Hawaii with fighter planes, bombers and torpedo planes launched from aircraft carriers. This was the entry of the United States to the Second World War. Another battle was the battle of Stalingrad in 1942 when Nazi Germany and its allies fought against the Soviet Union. It is said that this battle was the single largest and bloodiest battles in the history of warfare with nearly 2.2 millions people died. And I have to mention the invasion of Normandy as well where Western Allies assaulted Normandy in 1944 which was of Nazi Germany. It was the largest amphibious invasion which allowed to get the Western Europe by Western Allies. At the end, in 1945, Adolf Hitler killed himself and Japan surrendered to the Western Allies. As a result of this awful war, our ancestors had a terrible life living with fear, misery and penury. Today, we know about millions of people like Jews, homosexuals, disabled, gypsies, priests, etc that they were killed in concentration camps. For instance the Auschwitz camp where more than 6 millions people died. We know about sexual violence where women got pregnant by soldiers. We know about scientific experiments with humans by Nazi to try to improve the Nazi racial ideology. We know about bombing against civilians and not only to soldiers. As you can see, this is a shame but this is a war. Today, and after the second world war, we have the United Nations taking care of us where 193 countries promote international cooperation to maintain international peace and security, promoting human rights, fostering social and economic development, protecting the environment, and providing humanitarian aid in cases of famine, natural disaster, and armed conflict. I'm wondering about what is going to happen with deportations, famine, peace and security in the Syrian war. When is the war going to finish? Will there be a Marshall Plan to rebuild Syria like there was in the Second World War? We'll see in the next years.